Have you ever wondered how much racing games really have progressed in the past decade? Here’s your answer as Marc Dxn has put together a very interesting comparison video. 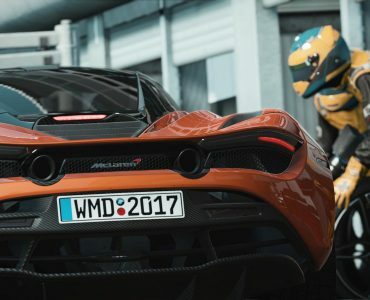 His video pairs up Playstation racing games from 20 years ago with their modern counterparts as Gran Turismo goes head to head with Project CARS while Colin McRae Rally faces off with DiRT Rally and F1 1995 is getting compared with Codemasters’ latest F1 2015 offering. 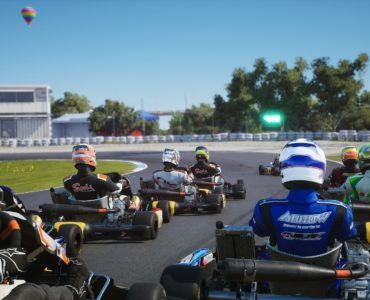 The video does not only show the strides made in gaming graphics since 1995, it also shows that some game design decsisions that were considered state of the art back in the day, such as the TV-style commentary in racing games, have faded into obscurity a long time ago. Go back 40 years, that will blow your mind. Kinda makes you want to play some of those old games again. Some you can, some you will never again. Aaaah the memories. I got a chance to play this https://c1.staticflickr.com/7/6080/6095615189_472780eb96_b.jpg last week ! I will make a video about it when I’m back from my brake. Haha I remember those. Was the steering wheel actually connected in any way to the game cos from what I remember it was just a pre-recorded video and you mimicked the driving. So naff. It was indeed connected ! It worked the same way as those toys with the projector your car is on a stick lol that you can literally see. There are two rotating disks one that rotates fast (outside lane) and one slow ( inside lane) The disks speeds are not constant and the speed of them is also connected to what you do with the gas. Its funny how a 100% mechanical game has similar technical issues with collisions as i have seen in older and bad flash games. The engine sound was surprisingly good mind you and it was playable at a basic level with it fun to try and get a high score. That is amazing. I hope the guy who made it is still around to see what we have today. Ah well the one I used was different to this completely. It was black and white real footage of a car driving down a street from what we would now call bumper-cam. So you didn’t see any car, just the road. lol ripped models before it was cool. I liked the TV style commentary 😀 It was encouraging, overtaking someone then hearing Murray Walker say “your up to third”. This is the progress you get when politics does not interfere in the human ingenuity. Amazing progress, especially with the upcoming VR, while the real world is slipping into abyss. 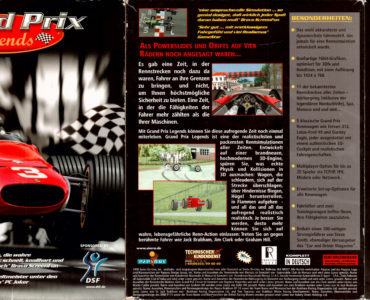 Shame that despite all the other monumental improvements, no racing sim has improved upon the AI in Grand Prix 4, released in 2002. All hail Sir Geoff Crammond! Have you tried RF2? genuine question. Yes, extensively. I would rank that as the second best, it is indeed good. RF2 relies on well made blocking lines that many circuits do not have, blocking itself is well done but the AI in my opinion just aren’t forthcoming enough slipstreaming past cars ahead. It’s like they don’t sense that there’s a speed differential they can take advantage of to immediately pull out and come past. Third party tracks obviously vary a lot in AIW quality. But on the official ISI tracks I’ve had the time of my life with the rF2 AI. It’s feakish how human-like the AI is most of the time. I’ve never had a similar experience in any other sim or racing game. Much of the unwillingness to overtake can be taken care of easily by turning the AI limiter down to 0. This way they will drive their full potential instead of sticking closely together in a pack. This makes for more overtaking, more “action” and a more natural spread in the field. What i miss is that, in the “past”, sim racing games used to be full released and not to be “work in progress”, “early access”…some had rain or night out of the box and now it seems to be a hiper-complex features. Also, i don’t remember this rage-wars between differente sim fans. That’s the same with all games, and I think it’s one of the worst developments in gaming, half finished games being released with a we’ll fix it later attitude. I don’t mind so much beta or early access titles, but games being sold at full price whilst being half finished is a rip-off. Only the titles like rocket league will be bugless, complex sims are not. I’m not talking about bug fixes, when you buy a game that’s recently come out and there’s a 9GB update out for it already something’s wrong. Even before HTML, BBS were full of people having rage sessions and wars ! Yes I agree more and more complex and developers trying to do too much in the time frame they have allowed for themselves. I think they just did not realize how much work these technical advancement would be to get polished and instead of going broke to release a fully finished game they need to release it as WIP. However the bugs and problems present in those old games were there to stay, forever, no hotfixes, no patches, learn to live with it. Things have come a long way for sure. I think the rage-wars are more down to the internets? There seem to be a few misguided trolls among the masses of happy players (we know who you are and we are praying for you to start being kind!). Unfortunately, the internets and social media allow these few misguided trolls to have their own soapbox for shouting and shouting and shouting on and on. and check this out if you really want to go back…. Remember it? Iv got one in the loft at my Mums house. Epic Racing Sim. Lets see you ‘drive’ it, hehe. That toy in the picture I remember it, I don’t think it was very functional when I tried, but I remember that lever, which I think is for speed. 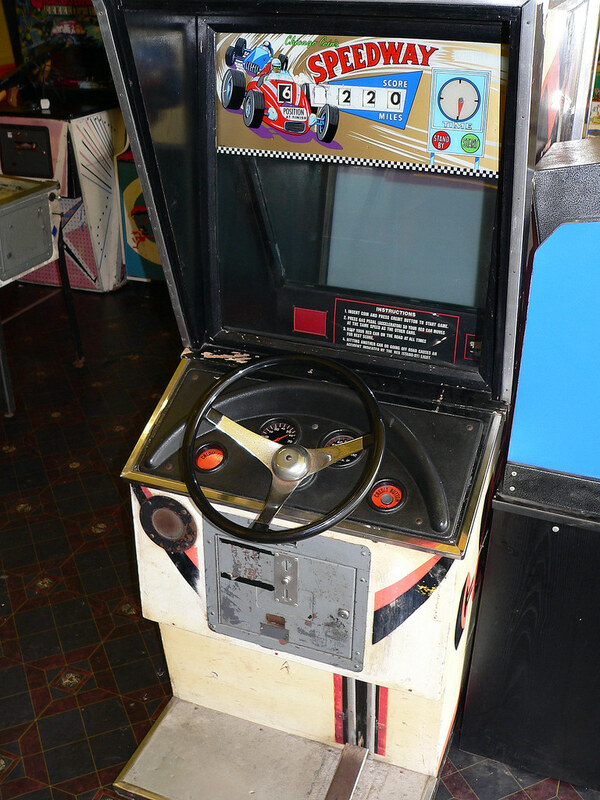 Old enough to remember playing some of the rolling road mechanical machines in some Bridlington arcades in the early 70s. Happy days. I remember at least two of the ones in the first link. Thanks for sharing this. A little trip through memory lane. What hasn’t changed since then is that turning the steering wheel still, after 20 years, simply rotates the car around it’s vertical center of gravity, for example in pCARS. I think one of the few sims which got it right was CART Precision Racing? Agree. This is obviously present in Forza as well. Don’t front tires and rear tires cause a real car to rotate around the center? Never saw a car spin out, rotating around just the rear or front tires? I’ve even spun out myself. The car spun end for end, evenly. At low slip angles (not near the limit) real cars rotate around the center of the rear axle; ackermann geometry is set with this in mind. At high slip angles (near the limit) the rear of the car is sliding outwards so the center of rotation moves forward depending how fast you’re going, approaching the centre of gravity. Yes, I just question that Udo’s statement is true? The rear wheels break loose a little in pCars, and he says the car rotates around the center? Try driving from the outside, rear view. And see if the car isn’t rotating on the front axis. Admittedly, I haven’t paid that much attention to pCars. But I’m pretty convinced AC and rF handle realistically. When you say rF obviously you say rF1 because you can easily spin the cars. But try to spin the cars on rF2. You can´t spin the cars on rF2 even with all driving aids off. 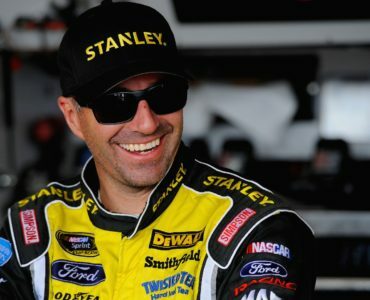 Then when you ask in forum why you can’t spin the cars they say it is because the cars have very good tires. NO expert here. But I instantly found this video. Shows CR2 Corvette being spun out at end. What hasn’t changed is few sim racers have a clue about physics. 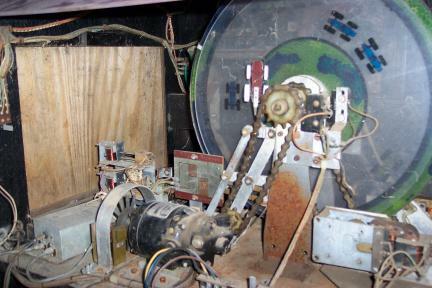 Console games never were real racing games, just arcade junk. 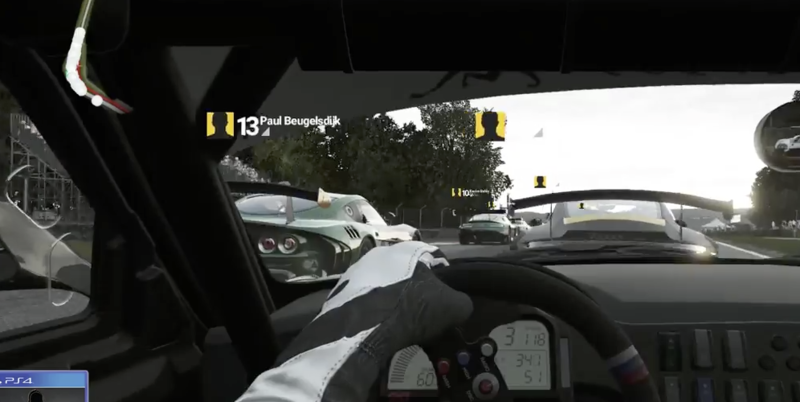 The PC has been and still is the sim racing purists’ choice of platform. Long live tue Master Race. Well theres something we didnt know. Thanks for the info. As a fan of pc sim racing, i think your answer is arrogant. It is all about personal preference. I do not like console racing either, but to call it junk is even more silly. I have always been a fan of history subjects for the reason that it gives me perspective on where we have been, where we are now, and where we may be going. On the last decade I can see only the graphics getting better but the physics still focused on the kids, noobs and casual players once they are 98,56% of the players. If someone create a real physics simulator only 1,44% of the consumers will be able to properly drive the cars…. the noobs and kids will spin out of control everywhere and will choose to buy something arcade. Sadly that´s why we will probably never have a 100% real car physics, right? Some F1 legends started to drive when they were kids like Senna.So some “kids” race for real and don’t play on PC like you.